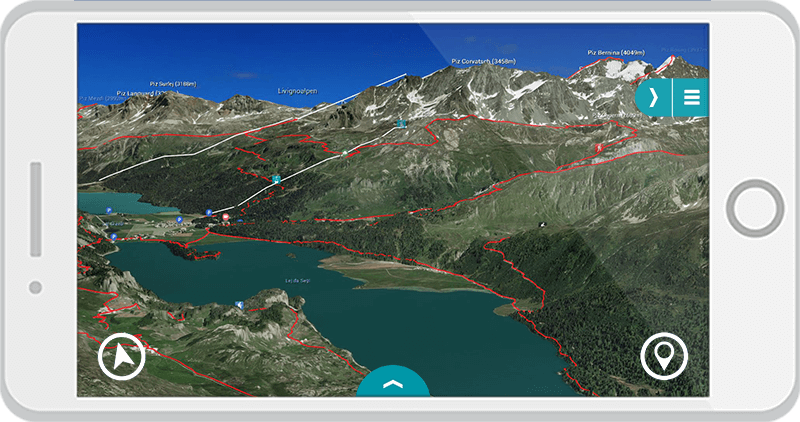 The award-winning 3D map app is the perfect tool for outdoor navigation in the Alps. 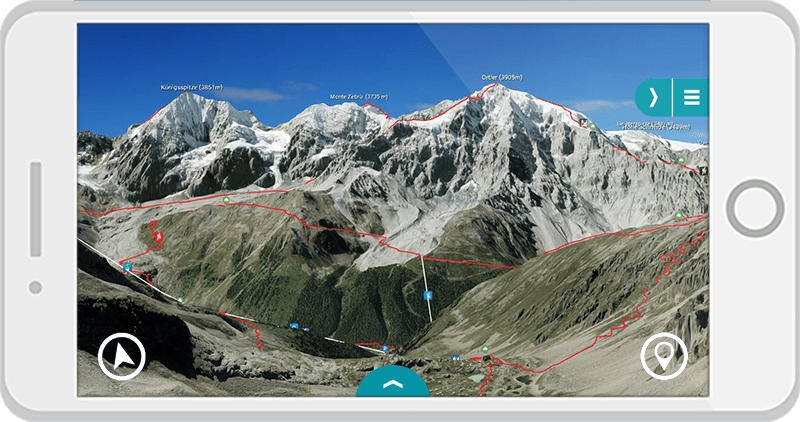 The 3D map is based on high-resolution aerial images and an extremely detailed terrain model visualizes the mountains in an unprecedented way. 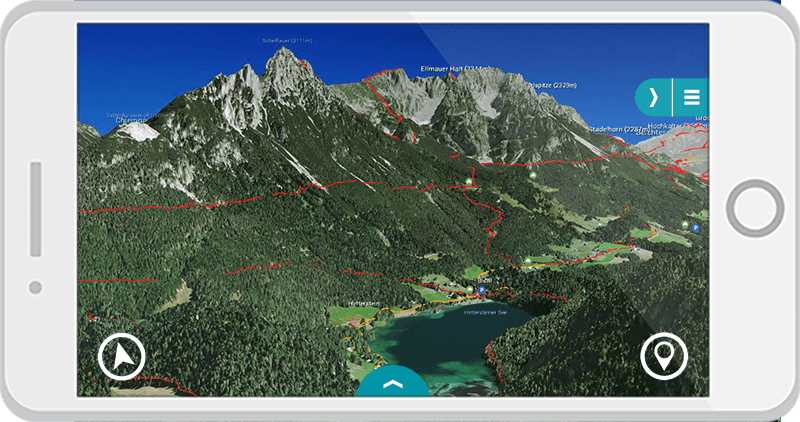 This allows a realistic assessment of the terrain and the technical requirements of a tour. Planning a tour is much easier with a photo-realistic map than with a topographic map. On tour orientation is intuitive and safe. Even the smallest details of the landscape are displayed realistically in the 3D map. The combination of 3D map and GPS tracking function turns the smartphone into the best alternative to the GPS device. On tour, the surrounding landscape appears interactive and in 3D on the smartphone. Your own location is always displayed live in the 3D map. All important geographical names are accurately labeled: mountains and lakes, huts, valley locations, parking lots, webcams and mountain railways. 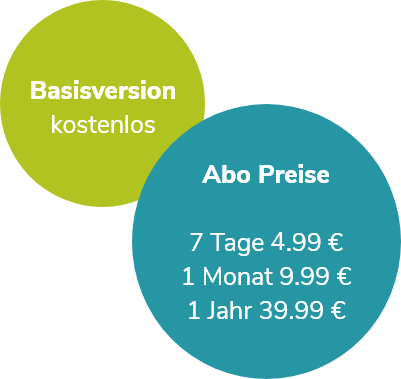 You can switch between 3D view, aerial view and topographical map on a scale of 1: 25.000. That way you will find the optimal perspective for all situations. With the help of the unique virtual 360 ° panorama, orientation is particularly easy - the 3D map orients itself with the compass the way the user aligns the smartphone. All geographic information appears in the real landscape. The exposure and condition of the terrain as well as objective hazards such as rockfall and avalanche prone areas can only be recognized in a photorealistic 3D map. The map shows the real terrain in the highest resolution. Every single tree, every crag and every mountain ridge are displayed realistically. This also allows orientation at night and fog. Another important security aspect: The 3D map can also be used offline with the app and without a mobile phone connection. 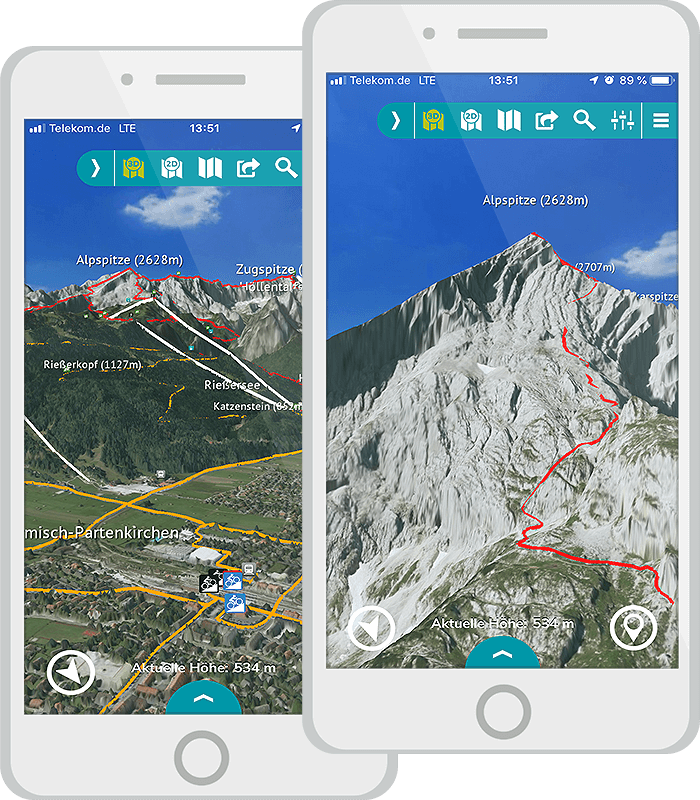 The basic version of the 3D Outdoor Guides app is free. That way all the region maps can be explored in 3D and an overview of the tours can be procured. The cards are only available with data connection. With the premium subscription, many other functions are available that make the smartphone a full-fledged GPS device with offline-usable maps. 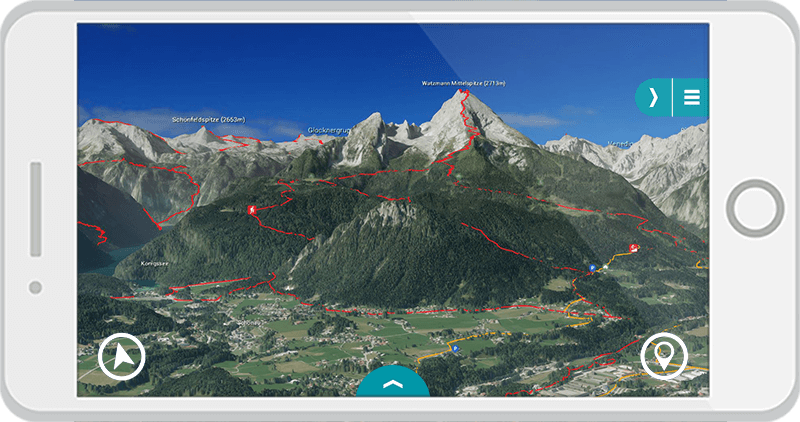 Just like in the online tour planner, the premium version of the app offers more than 4,000 well-researched and quality-tested hiking, mountain and mountain bike tours. 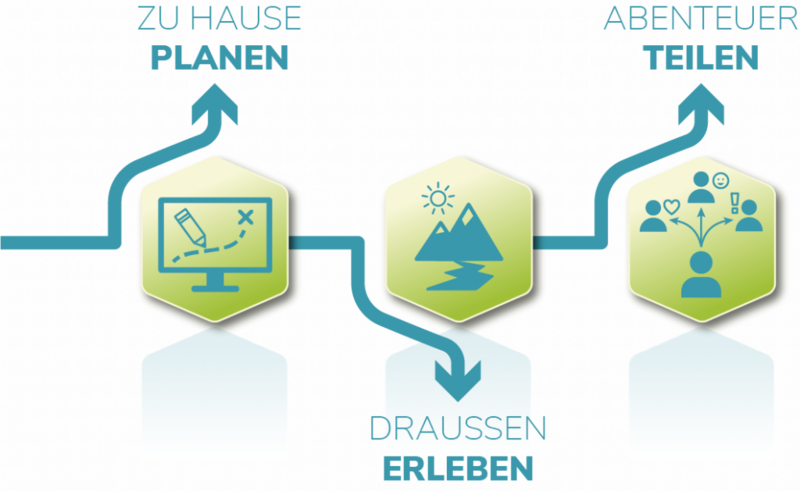 All relevant information regarding requirements, route and altitude profile are included. So every hiker, mountaineer or mountain biker will find a suitable tour. Using the GPS function of the smartphone, you can easily follow the marked course of the tours. In addition, tours from other tour portals such as Komoot can be imported directly into the app to expand the tour choice. 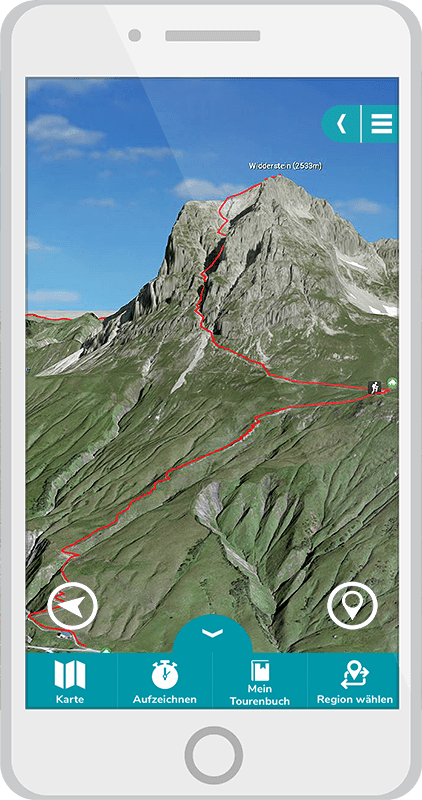 With the 3D Outdoor Guides App, own tours can be recorded by GPS. The covered path is displayed live in the 3D map. Duration, distance, altitude and speed are recorded continuously. The tracks are saved on the smartphone. 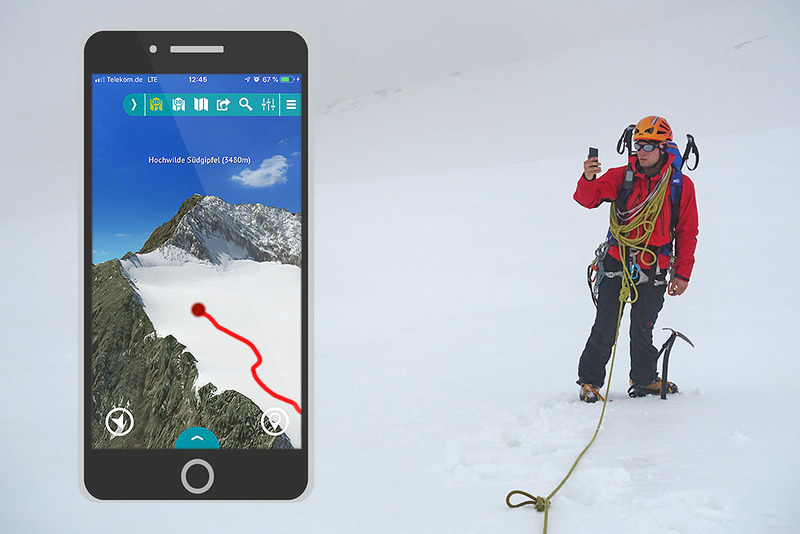 With an Outdoor Guides Premium Account, the tracks are saved in the touring cloud and can be transferred to other devices and shared with friends.